Carpet Cleaners, House Cleaning, Pressure Washing, & More! Whether you're too busy to keep your home neat and tidy or just need someone to lend a helping hand, Freshen-Up Cleaning offers professional house cleaning around Lancaster and Harrisburg, PA customized to your unique needs. Our dedicated cleaning associates are fully trained and they follow our detailed cleaning scoreboard to make sure you receive consistent cleaning on every visit. Your satisfaction is our top priority and is always GUARANTEED! We use eco-friendly cleaning products which eliminate the use of unnecessary or harsh chemicals, providing the best results and creating a safer environment for your family and pets! We offer weekly, bi-weekly or monthly service options to suit your individual needs and schedule. Are you getting ready for a big party or a special event? Have you been looking for a unique gift idea for a special friend or family member? We can also provide one-time house cleaning in Lancaster and Harrisburg, PA and the surrounding areas. Yes! We do windows in addition to our regular services. We will also clean inside your oven and refrigerator, as well as any other special jobs you need help with. Just let us know what you need and we'll provide you with a free estimate. Moving is stressful enough without worrying about the details. Whether you're moving in or out, let us take care of the cleaning so you can cross one more thing off your to-do list! Contact us today about your residential house cleaning needs in Lancaster and Harrisburg, PA and the surrounding areas! We'll be happy to go over our program, provide pricing and schedule our first visit! At Freshen-Up Cleaning we specialize in providing cleaning services for small to medium size offices. We know how important first impressions can be. While using our professional services, you won't ever have to worry about making a wrong impression. We understand how busy your schedule can be and how important your company's image is. You can count on our consistent and reliable services to keep your office appearance fresh and clean, helping you to look your best at all times. We use eco-friendly cleaning products which eliminate the use of unnecessary or harsh chemicals, providing the best results and creating a safer environment for you and your employees! We offer daily, weekly, bi-weekly or monthly service options to suit your individual needs and schedule. Yes! We do windows in addition to our regular services. If you have a break room, we will also clean inside your microwave oven and refrigerator, as well as any other special jobs you need help with. 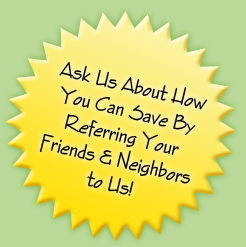 Just let us know what you need and we'll provide you with a free estimate. Moving from one office to another can be stressful enough without worrying about unnecessary details. Whether you're moving out of your current office or moving into a new one, let us take care of the cleaning so you can cross one more thing off your to-do list! Contact us about your commercial cleaning needs today! We'll be happy to go over our program, provide pricing and schedule our first visit! Is the carpet in your home or business dirty or stained? Do you have upholstery that needs to be freshened up or cleaned? Let the professionals at Freshen-Up Cleaning come to the rescue! Our professional carpet cleaners in Lancaster and Harrisburg, PA can remove unsightly stains and spots from your carpets and furniture. If your carpet or furniture can't be cleaned we'll tell you the truth and we won't charge you a dime! Fabric protector is also available. Are you a victim of a broken water pipe or flooding? In addition to being your carpet cleaners, we can also take care of water extraction and cleanup following water damage with a professional carpet cleaning around Lancaster and Harrisburg, PA. Your satisfaction is our top priority and is always GUARANTEED! Contact us to schedule an appointment for professional carpet cleaning in Lancaster or Harrisburg, PA today! If your deck needs more than a good cleaning, talk to us about our deck staining and sealing service. We can make your deck look new again! Contact us today about your deck staining and sealing needs! We'll be happy to go over our program, provide pricing and schedule our first visit! Are dirt and grime making the exterior of your home or business look dull and dingy? Have you been meaning to give a good pressure washing to your house in Lancaster or Harrisburg, PA? You only get one chance at a first impression and our professional pressure washing services in Lancaster and Harrisburg, PA can help you make a great one! We professionally clean patios, driveways, lawn furniture, brickwork, siding, decks and so much more. We're sure you'll appreciate our attention to detail. Contact us today to schedule a professional pressure washing in the Lancaster and Harrisburg, PA areas! In addition to our professional cleaning services, to fully service our customers we provide the following miscellaneous services. Between taking the kids to soccer, shopping for groceries, or a big project at work, life keeps you busy. Our professional window cleaning services can take one thing off your never-ending list of things to do. Whether you're tackling spring cleaning or preparing for a special event, you can have confidence in knowing your windows are sparkling clean. Whether you've just finished a complete new construction project or you've been remodeling an existing structure, our clean-up crew will take the headache out of removing the dirt, dust and debris, giving you the assurance that your property will be ready for a great first impression! Contact us about your needs today! We'll be happy to review your needs with you and provide a free estimate! We provide house cleaning, pressure washing, carpet cleaning, and additional cleaning services in Lancaster and Harrisburg, PA areas.